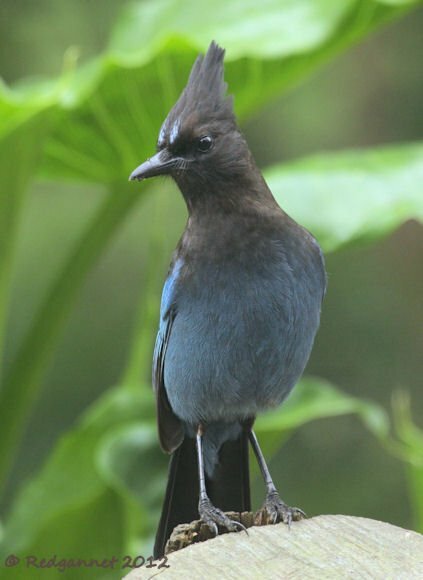 Carrie wrote a thought-provoking post on the perils of being named after Georg Steller, but noted that his Jays were still doing very well thank you. 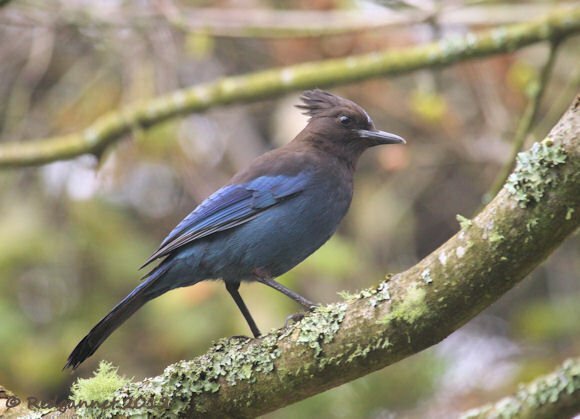 Though Steller’s Jay is usually associated with western coniferous forests, it can be found in many different habitats as well as town parks and gardens were they will take advantage of food left out during the winter. 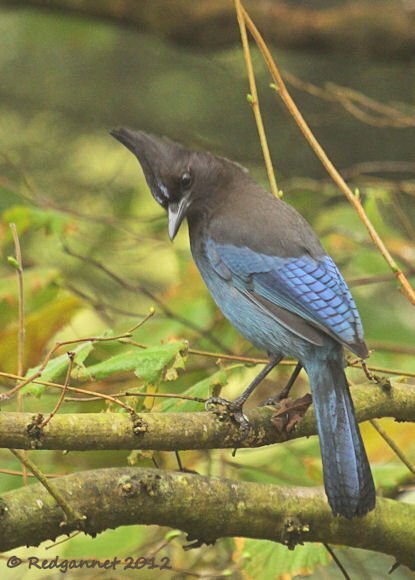 San Francisco’s Golden Gate Park is rich in bird feeders and the jays find rich pickings. Each morning the feeders arrive with bags of bread and pockets of nuts for the birds and soon find themselves surrounded by ducks, gulls and sparrows. The jays appeared to be a little shy and kept their distance, but were quick to pounce when a tidbit was thrown within range. 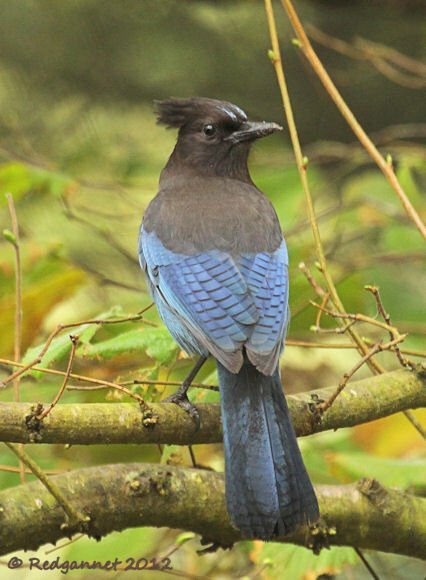 If the rich blue of the was not striking enough, attention is quickly diverted to the prominent crest that is absent in other North American jays. 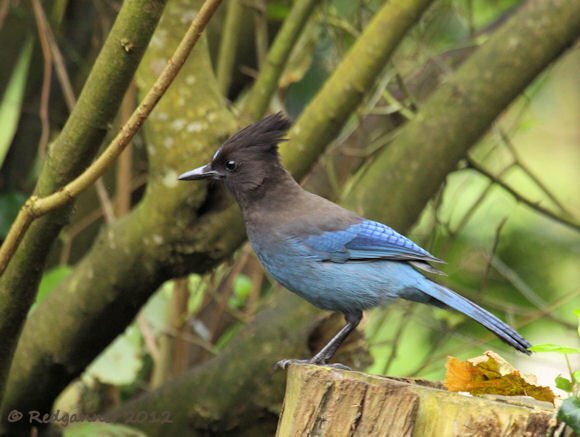 When a predator is close by Steller’s Jay s are quick to respond to the threat. and will often maintain a commentary of the predators movements with their rich array of calls and mimicry. Took my family to the Muir Woods in California, Steller Jays all around the parking lot. One young couple was walking to the entrance gate ahead of us and the lady pointed out to her husband “Look Honey, Blue Cardinals!” True Story. Do you think,, is it possible, that their range may reach far north.. Ontario,,, Canada.. or is is possible of hybid sightings?